When I think about working dogs, one of the jobs that first comes to mind is guide dog. Most of us have seen a dog and handler at some point in our lives. However, beyond knowing I’m not supposed to pet a guide dog, I know very little about the work they do. So, I reached out to Katrin Hawkins, a certified dog behaviour consultant who is also visually impaired, and asked her to share her experience and additional guide dog info. Katrin and her husband live near Boston with her guide dog, Tom, and her Cardigan Welsh Corgi, Zora. Tom is a 9-year-old Labrador Golden Retriever cross from the Guide Dog Foundation. Katrin and Tom have been a team for nearly 8 years (he was 19 months old when they were matched). Like most working dogs, Tom loves to go to work every day. Katrin describes taking Tom out of his harness when they’re at one of the organizations where she volunteers. “It’s important to me that he gets time to do a wide variety of things he enjoys, not just guide dog work (which he very much enjoys),” she says. 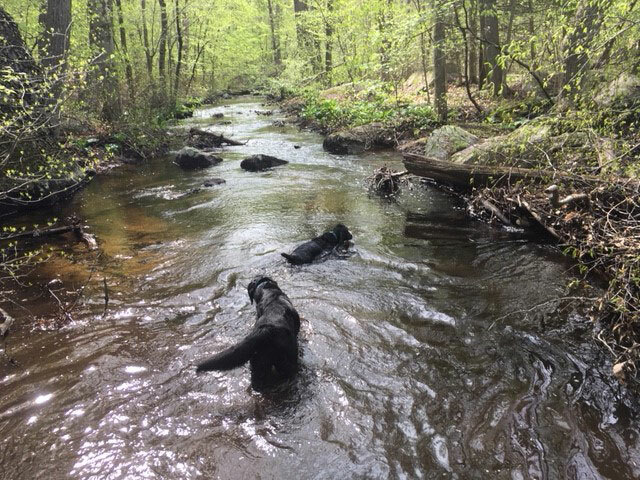 Katrin describes the human world as chaotic and stressful for many dogs and guide dogs have to not only cope but also find joy in these environments. Downtime is very important for guide dogs to help them deal with working in public environments, which can be stressful for any dog, even for those who thrive in challenging situations. Other breeds of dogs can make excellent guide dogs, but it depends on the individual dog. Even with specific breeding, raising and training, guide dog programs estimate about 30% of dogs do not make it through formal training. Reasons a dog may be career changed include medical, temperament or the dog making it clear they don’t love the work of a guide dog. These dogs are may be adopted as pets or go on to another working career such as becoming a drug or bomb dog. With more than 20 years of professional experience working with dogs, Katrin has a unique perspective on training guide dogs. In fact, she trained her first service dog, James, herself. 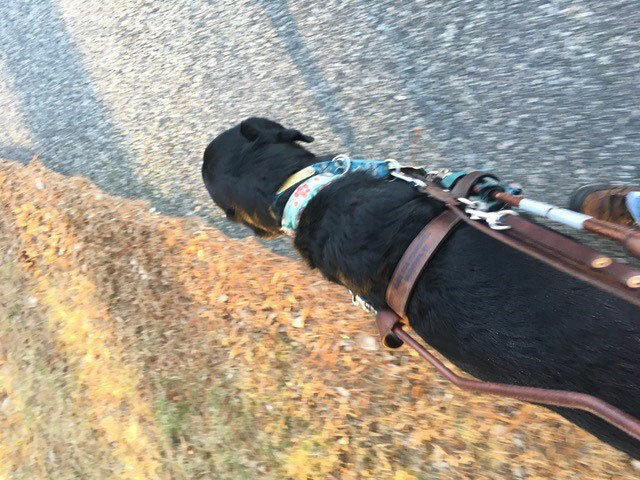 James was young, and Katrin had been training him for dog sports and working with him in many different environments when it became clear that she could benefit from a service dog. She trained him in the skills that she needed, and they were a successful partnership for 7 years. However, Katrin knows that her experience with James was unusual. Only a very small portion of the general dog population is suited to be a successful public access service dog. This is one of the reasons most guide dogs come from established breeding programs. After James retired, Katrin tried to train another two new dogs for service, but each had to career change, one for medical reasons and the other for being unable to cope with the pressures of public access work. Katrin then turned to the Guide Dog Foundation, an organization with then over 75 years of successful breeding, raising and training of guide dogs. It was there that she was matched with Tom. “Tom and other program bred guide dogs are unlike any other dogs I have ever had experience to work with,” she says. That success comes from a combination of nature and nurture. 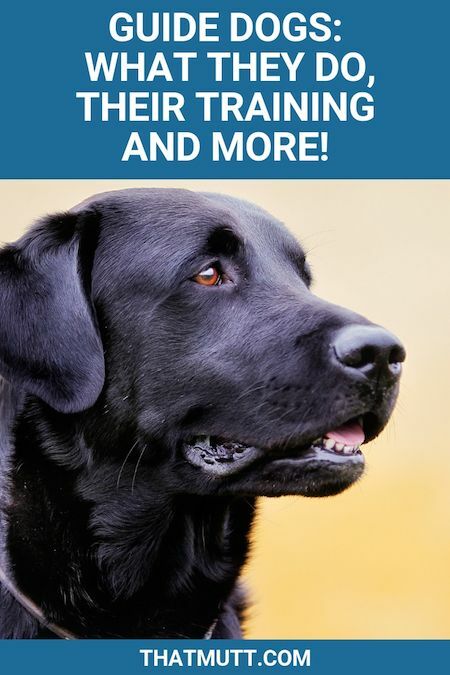 Building on the foundation of the innate traits bred into the dogs, puppy raisers and trainers add the specific cues and trained behaviors to get a working guide dog. What commands do guide dogs learn? This intelligent disobedience can be a literal life saver if the handler makes a mistake and asks the dog to lead them forward into traffic or off a train platform. An important part of helping a guide dog to be successful is also the match with the handler. Katrin explains that the training program labelled Tom as a city dog who would thrive in more active, intense, ever-changing city working environments. Katrin and Tom encounter challenges every day. 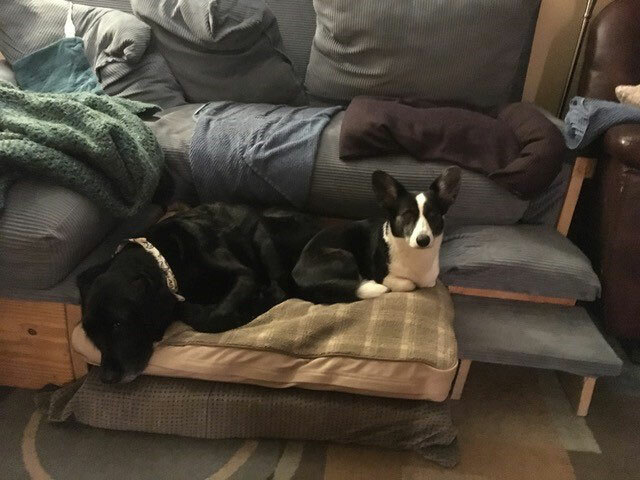 “When Tom moves a certain way I know there is another dog or person nearby that he doesn’t want anything to do with, and it’s my job to believe him and ensure he feels safe and heard,” she explains. Katrin shares that numerous guide dogs have to be retired after being attacked by another dog or due to the stress from being repeatedly barked and lunged at by poorly managed dogs. While other dogs can be difficult—and even dangerous—people can be equally challenging. She also encounters people who don’t understand the work that Tom does. 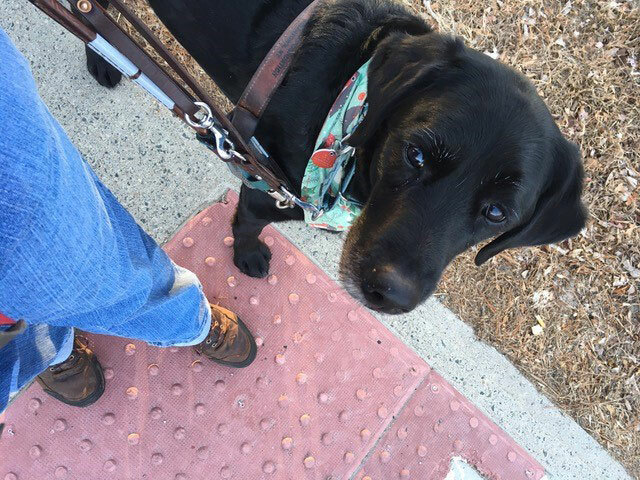 “Sometimes people say, ‘Oh I wish I could bring my dog everywhere too!’ And I generally want to reality check [and say], ‘So you’d like everything that goes along with visual impairment and disability too?’” she says. When do guide dogs retire? Eight years into her partnership with Tom, Katrin is very proud of their bond. She says, “He’s continuing to tell me he enjoys being a guide dog still and he continues to be good at it.” When Tom retires, he will live the rest of his life with Katrin. Guide dogs retire due to old age, medical issues, behavioral concerns or other reasons. Katrin emphasizes that everyone involved with the dog, “from the person with disability to the program to the puppy raisers” work together to ensure the dog is taken care of for life in a loving home. Sometimes handlers may be unable to keep their dogs (for example, if they live somewhere which does not allow pets, which is the legal description for a retired guide dog). Friends, family or the original puppy raisers may all have the option to adopt the dog. “If none of those avenues are options, then guide dog programs generally have long lists of people wanting to adopt retired guide dogs,” Katrin explains. Guide dogs are an incredibly important mobility aid, a living and breathing one who loves to go to work every day. Katrin is a certified dog behavior consultant (CDBC, CBCC-KA) and has worked professionally in dogs for more than 20 years. She currently teaches a small number of dog training students, and volunteers with a few organizations she’s passionate about. She blogs about dogs, ducks, disability and more at maplewoodblog. To learn more about guide dogs visit the Guide Dog foundation website at www.guidedog.org. Do you have any experience with guide dogs? What impresses you most about guide dogs? I had a friend that used to take puppies for them being possible future guide dogs. she had to follow certain training, rules, etc. she also had to go to classes with the dogs for training as well. I am not sure I could give up a dog that I had bonded with so closely even though I know that they were bred for such a wonderful purpose. I have even seen min. horses trained at the pet stores for guides as well. they are adorable. they have little shoes on to help them so they wont slid in the stores. just like the dogs, you are not allowed to pet or play with them. I’ve heard of therapy horses, but not guide ones. That’s really interesting. I’ve considered becoming a puppy raiser for future guide dog training. 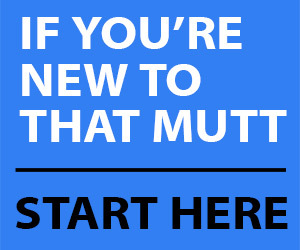 I think it would be so much fun and rewarding (and a lot of work of course) and I think I’d be able to give up the dog fairly easily knowing it will go off to do an important job. I don’t have a hard time seeing my foster dogs get adopted because I know from the start they will eventually go to their new family. I think it would be different knowing from the start what they were destined for. Especially when you have certain training obligations to fulfill, I feel like that would help to keep you focused on this is not my pet long term. One of the guide dog puppies I raised, Dublin retired a couple months ago. Dublin’s handler called me in tears while she explained to me the circumstances of his retirement. I miss him and all the puppies I raised and letting go is definitely difficult, but seeing them working and giving someone back their independence makes it all worth it. It must be hard that some of your past guide dog puppies are getting to their retirement age. It’s amazing to have been part of these dog’s lives for so long. “Independence” is the key word. I realized as I was learning about Katrin’s story that without Tom she really would be so much more limited in what she can do. What a selfless profession to raise guide dogs. I would find it so hard to let them go! I’ve always been somewhat taken with guide dogs because of their incredible devotion – likely through a lot of high quality training. Great piece! Thank you, Rebecca. When I was speaking with Katrin she was so grateful to all of the puppy raisers out there. It’s such an important part of the process of training these amazing dogs. I loved learning more about guide dogs. I know a cocker would likely be a bad candidate and I always wondered what qualities a dog for service like this should have. This is a great piece I am tweeting now, too. I bet there are a lot of cockers that are therapy dogs, though! I think for guide dogs size is important. They have to be able to physically block their partner if needed and also have enough of a “presence” to navigate through crowds. Cockers would be a bit small for this, but definitely appropriate for other service jobs. What great information on guide dogs you have shared. 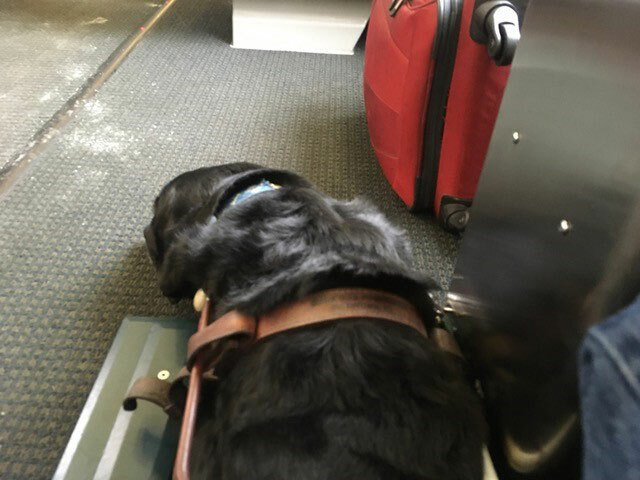 They have such an important job and it important for people to realize they are working, and as you said, someone would not go up and touch someone’s wheelchair, so they should respect the working guide/service dog. I met a young girl who has epilepsy, and while I was chatting with her and her family about a seizure-alert dog they were looking into getting (she now has), I learned so much about what these dogs can do to help, and how much personalized training they receive. This particular one was in training for a year, then the girl and her family flew out to be trained with the dog for a couple weeks. You covered so much here, I am Pinning to share! Excellent post! It’s amazing what dogs can sense and how those natural qualities can be developed into a working or service dog. I’m glad that this girl and her family were able to find a dog who was helpful to them. Thanks for sharing. I really enjoyed reading about Tom and Karin. I’ve always aspired to be a puppy raiser for service dogs, but first I need to get my husband on board. I really loved her analogy about the wheelchair and guide dog. Sadly too many people don’t seem to understand when a service dog is working, he needs to concentrate on his job. I don’t think I fully appreciated how important that concentration is until I spoke with Katrin. It’s critical for her and Tom’s safety that they not be distracted. I know I’m going to be much more conscious of my encounters with service dogs (with and without my dog) to make sure I’m not inadvertently creating a hazard. I enjoyed reading this post and learning more about guide dogs. I’m always in awe when I see one out and about doing its job. I’m always struck by their calmness. I like how Katrin mentioned it’s important to her that Tom gets time to do a wide variety of things he enjoys, not just guide dog work, though I’m sure he enjoys that most of all! Thank you for a very interesting read, Julia.